Weekends are so wonderful for fun little frocks and effortless outfits that require little thinking. Friday afternoon was in the 90s so a dress was a necessity. 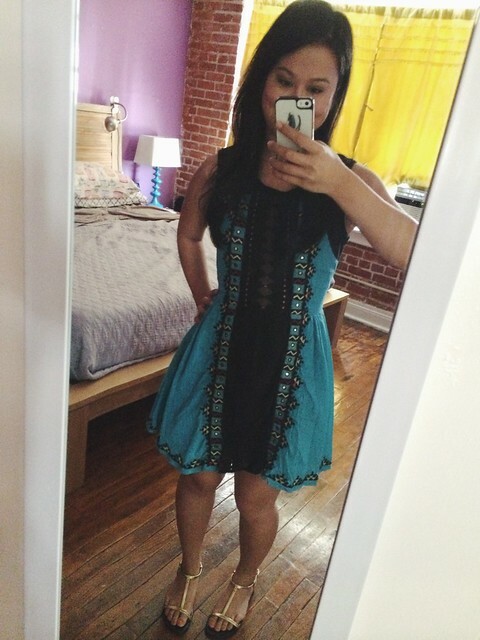 I love the festive details of this one by Free People and the turquoise color is something that is unique to my closet. It brings me back to my Costa Rican honeymoon last summer when I wore this multiple times around the hotel. Don’t ya just love when a part piece reminds you of a special time and season in your life? I wonder which dress will be my standout for this summer. This outfit was for Sunday morning full of errands. I had been out late the night before celebrating a friend’s 30th birthday, and was feeling a little tired but wanted to keep things playful. I love the BDG tees from Urban Outfitters. They’re so soft and come in a variety of prints that can be playful, quirky or simply basic. I’m always on the lookout for what’s new when it comes to their tees. 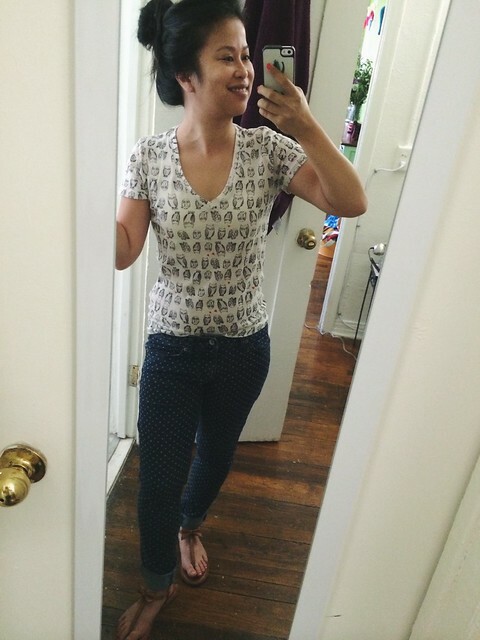 I thought that pairing the owl t-shirt with my polka dot jeans and bow tie sandals would be a fun and casual approach without thinking too hard about what to wear that morning.